The Morning Pointe Choir, made up of seniors from all five Chattanooga-area assisted living and Lantern memory care communities sang an amazing rendition of the National Anthem. 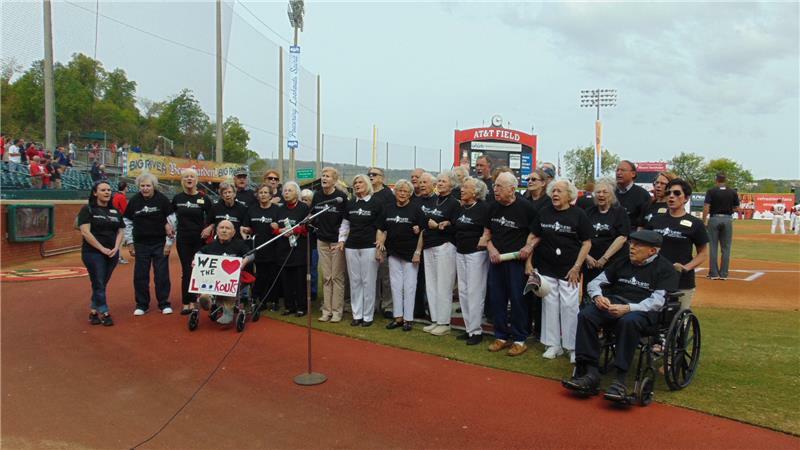 The performance took place during the April 13 Chattanooga Lookouts game against the Jackson Generals. It was part of opening week for the season. The baseball game performance was the second for the group. The seniors have been performing for several years now across the Scenic City. It is part of the music program at Morning Pointe Senior Living. Through music, residents explore the sounds of different instruments, they move and exercise, join in sing-a-longs and participate in choir performances while also learning about different kinds of music from all over the world, attending musical concerts and enjoying musical guests at Morning Pointe. After the live performance at home plate, Dottie Lucht and Polly Justice, residents of Morning Pointe of Collegedale at Greenbriar Cove, and Emma Johnson and Semmie Brown, residents at The Lantern at Morning Pointe Alzheimer’s Center of Excellence, Collegedale, enjoyed a good time with Looie the Lookout in the AT&T Field skybox. 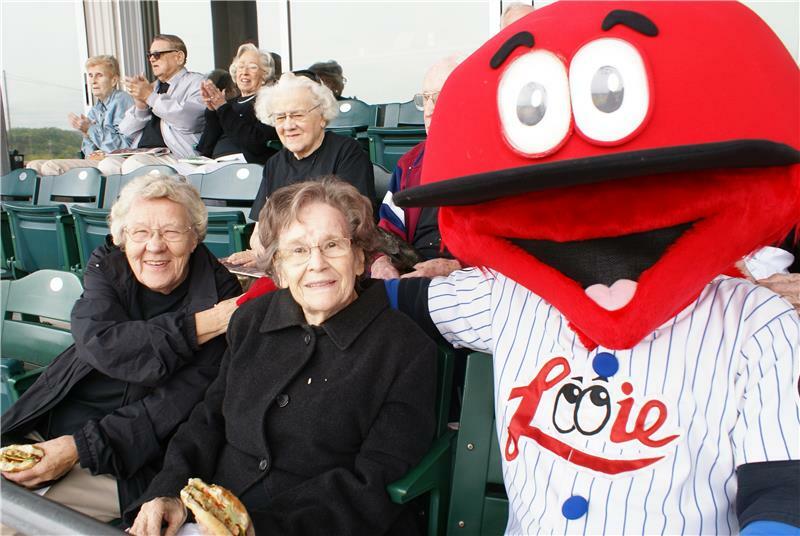 Home runs by DJ Hicks and Daniel Palka fueled the Lookouts to a 5-2 win over the Generals. The win was the team's first home win of 2016.